New seat cushion fabrics, new teak and stainless steel bathing platform. Toilet has a holding tank with a 135 litre capacity. The fwd double berth can be used as 2 singles. Ideal introduction to the water this Stuart Stevens 21 is powered by a BMC 1.5 diesel engine through a fully reconditioned Enfield outdrive to a 3 blade aluminium prop. She has a boat safety certificate until November 2021 and is river licensed until April 2019. She had new steering gear, new gauges for thew holding tank and water tank and has been re wired. She offers 2 berths in the cabin with a large aft cockpit that has cushions so can be used as 2 further "Summer Berths" or a sun lounger or simply seating. She is ready to enjoy and the frugal diesel engine uses only 1.8 litres per hour at river speeds. 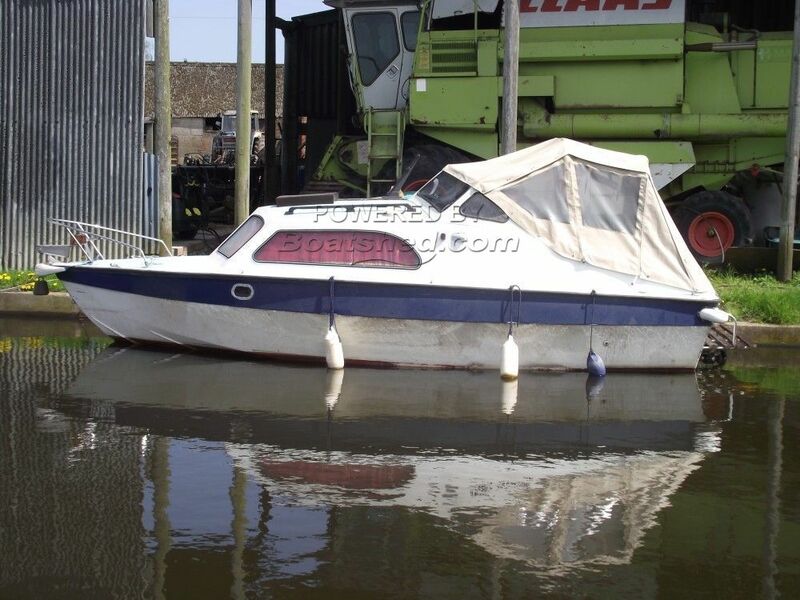 This Stuart Stevens 21 has been personally photographed and viewed by Gary of Boatshed Norfolk. Click here for contact details.